Here’s how to fix Cydia Impactor error provision.cpp:150, provision.cpp:62, or provision.cpp:68 when jailbreaking iOS 9.3.3 on an iPhone, iPad or iPod touch. While the latest Pangu Team’s jailbreak keeps on bringing liberation to modern devices, it also continues to confuse and bamboozle new jailbreakers trying to use it with a series of errors and issues. As we’ve said previously, this is one of the more complex jailbreaks that we’ve seen for a while, both in terms of what’s actually going on under-the-hood to jailbreak the device, as well as the processes that the end-user has to go through to get the good stuff. 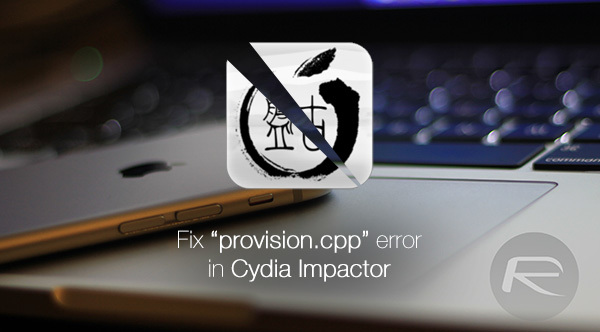 Whether you are jailbreaking for the first time, or trying to resign and re-sideload the Pangu jailbreak app onto your device after the certificate has expired using Saurik’s Cydia Impactor tool, you can often be greeted by the dreaded “provision.cpp” error on Cydia Impactor tool that may be running on your Windows PC or Mac. Here we are going to take a look at what the different “provision.cpp” errors that you may be getting mean and how you can go about fixing the problem. So, if you’ve been getting those errors when using Cydia Impactor, then take a look below for a potential fix. This may occur when you drag and drop the jailbreak .IPA file onto Cydia Impactor, and then enter the Apple ID credentials for signing the app when prompted by the tool, only to get provision.cpp:150 error by Cydia Impactor. The error will likely read “provision.cpp:150 Please Sign in with an app specific password”. Step 1: First up, navigate your browser to appleid.apple.com and log in using the Apple ID and the associated password that you are going use to sign the jailbreak app to be sideloaded. Step 2: Within the Security section of the website, click on the Edit option. Step 3: In this section, locate the APP-SPECIFIC PASSWORDS part and then click on the Generate Password option. Step 4: You now need to enter a label for the password, which is essentially for your own information. You can enter anything you like here, for example: CydiaImpactor. When done, click Create. Step 5: Copy the generated Impactor password to your clipboard. Step 6: Now when Cydia Impactor asks for a password against the Apple ID, simply paste the generated password in the Impactor prompt. This will fix the provision.cpp:150 problem. This is relatively simple, but doesn’t really have any user ability to effect. 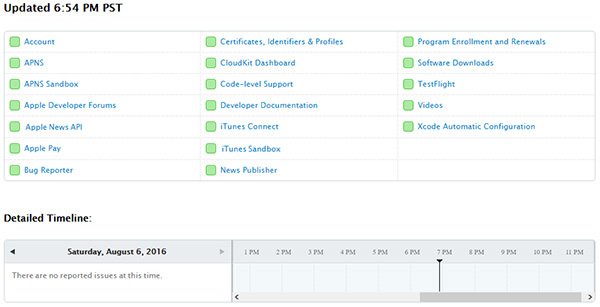 This error occurs when Apple Developer Program website/service is down for maintenance, scheduled or otherwise. The Cydia Impactor tool actually explicitly requires access to the developer portal in order to request the necessary privileges and sign the IPA file before sideloading it onto the device. Apple’s Developer Program service must be functioning for that to happen. In order to get up and running as quickly as possible, you can follow the status of the developer portal at developer.apple.com/system-status. As soon as it comes back online, you can start the jailbreak process again. I’m getting this error what to do? I’m getting this error, can anybody help me pls ? i got the same error, what did u do to fix? Mac OSX High Sierra right? I got this provision.cpp:62 error so many times, I tired of fixing this issue. So I’m finding a safe online jailbreak method instead of PC jailbreak method. Can anybody help me please ? ?